MY CRAFTY HEART DT CARD ~ PRINCESS ROSE RED.. So onto my card...and today I have been playing with one of my Saturated Canary digi images and teamed her up with some gorgeous goodies from My Crafty Heart.. 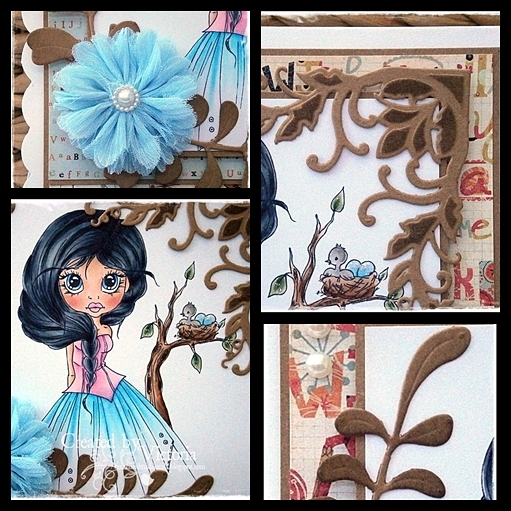 I have used some gorgeous Prima papers..the leaves are from Cheery Lynn...the pretty corner is from Spellbinders D-Lites range...a Prima flower...some pearls and Stickles too..
And here she is...and she is soooo pretty..! 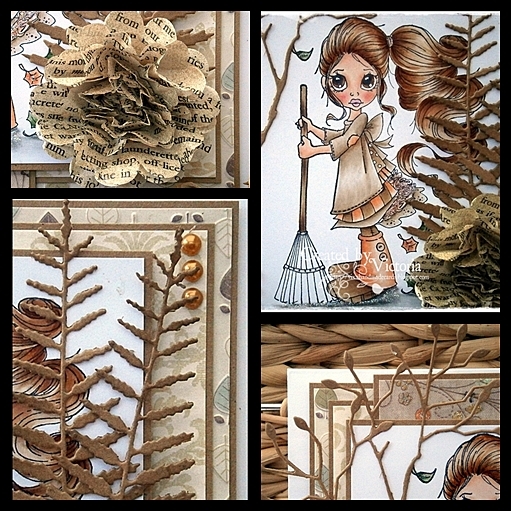 So do pop over to My Crafty Heart...check out all of Teresa's lovely stash...and don't forget to pre-order the delish Saturated Canary stamps...! and here she is...hope you likey...! 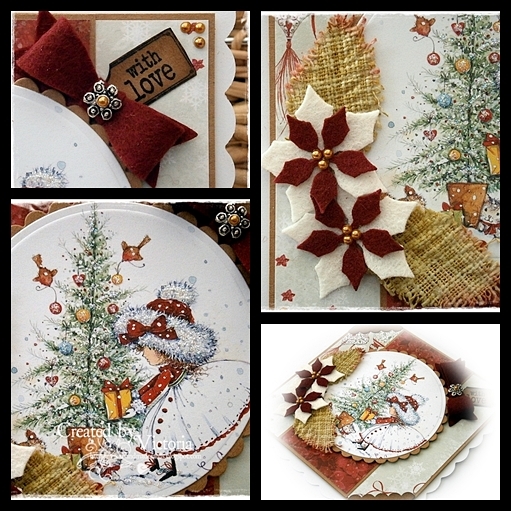 Papers ~ Wild Rose Studio "Annabelle's Christmas"
Bow ~ MFT "Dainty Bows"
Corners ~ MFT "Photo Corners"
WHIFF OF JOY DECEMBER PREVIEW ~ WINTER KIT.. 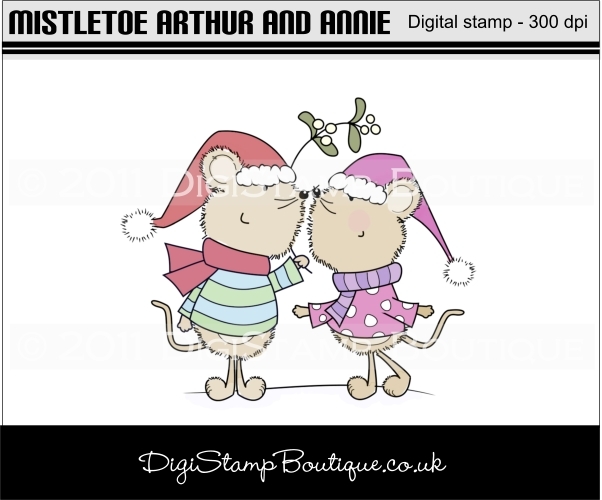 So onto my card....and today I have the lovely pleasure to showcase one of the adorable images from Decembers release over at Whiff of Joy..and this the adorable Henry with his boy...and bless..they look so cute..! Whiff of Joy Secret Winter Kit ~ Available 3rd December in Digi form..
Papers ~ Memory Box "Jubilee"
Sentiment ~ WOJ "Winter Kit"
Snowflakes ~ WOJ "Snowflakes Trio"
So do pop over to Whiff of Joy....check out all the lovely stamps, dies and digi's....and don't forget the new release of images on the 3rd December..! 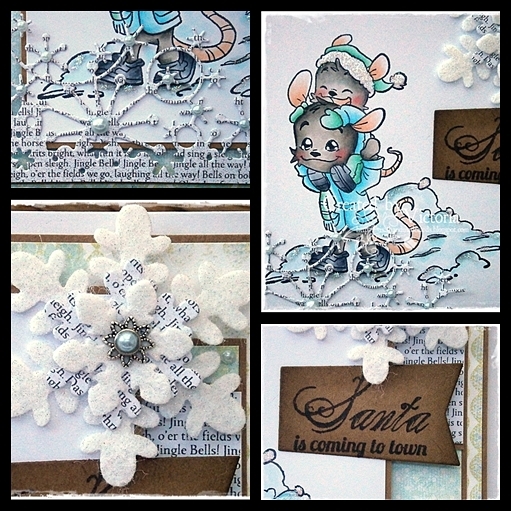 So onto my card....and today I have played with one of my lovely Lili of the Valley stamps...and this adorable sweetie is called "Snow Queen"...and isn't she soooo pretty...! Lili's Little Fairies ~ Anything Goes..! and here she is....looking adorable.. 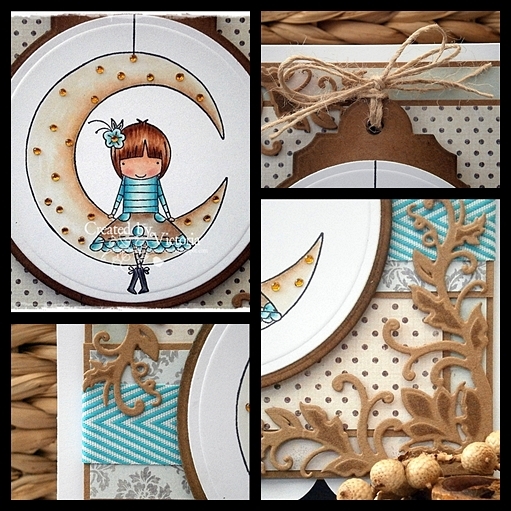 So onto my card...and today I have played with my gorgeous Leanne Ellis stamps from Sugar Nellie...and this adorable sweetie is called "Moon Beams".. I have teamed her up with some lovely Melissa Francis papers..my new corner die is from Spellbinders D-Lites range....some ribbon...gems and the big circle tag (used as a bauble ) is from MFT..
Large Tag ~ MFT "Circles tag stax"
So onto my card....and today I have played with one of my gorgeous Whiff of Joy stamps...and this sweetie is called "Santa riding through the winter night"...and isn't he just adorable..! 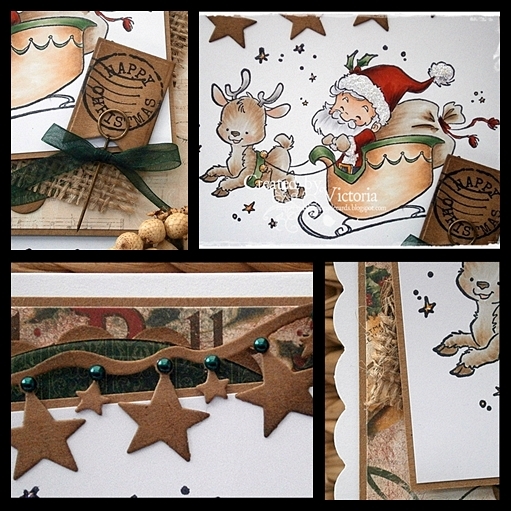 Papers ~ Bo Bunny "Father Christmas Collection"
Banner ~ WOJ "Stars Festoon"
So onto my card...and today's offering is from Wild Rose Studio...and I so love the adorable Annabelle..she looks so delicate and very whimsical methinks.. 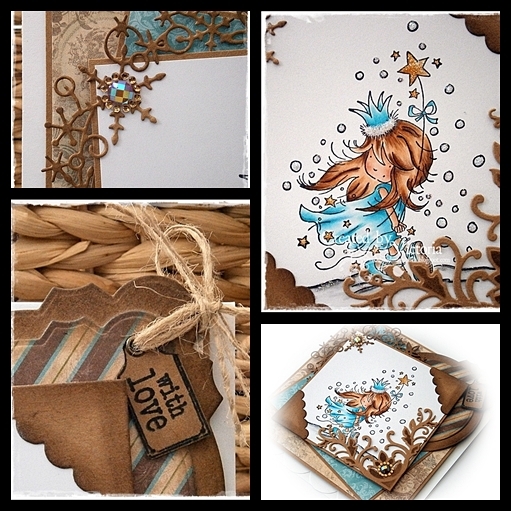 I have teamed her up with some lovely Wild Rose Studio papers...a gorgeous MB Holly Vine die..some pretty corners....die cut letters and my Fishtail flag stax...and the wee flourish at the bottom was a free sample...Mmmm another die to add to my ever growing wish list methinks...lol...! 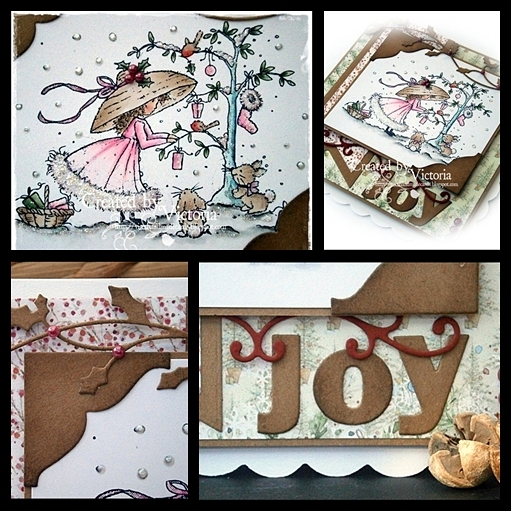 Letters ~ MFT "By the Letter"
So do pop over too Wild Rose Studio...check out all stamps, panels and papers...and there is Ooooodles of inspiration too.. So onto my card...and today I'm showcasing the adorable Rosie from DigiStamp Boutique...and what a cutie she is too...! So that's all from me today...another long day...then it's parents evening tonight..